It estimates there will be between 104,500 and 115,500 home sales this year through its MLS system _ more or less similar to the 113,133 recorded last year, despite a shortage of property listings. The group is repeating its call for the private, public and not-for-profit sectors to seek solutions to increase the supply of properties for sale in the Toronto region rather than attempting to reduce demand from would-be buyers. The board says the active listings at the end of December in the Greater Toronto Area were at their lowest level since before 2000. The latest Goodman Report on the apartment sector in Metro Vancouver highlighted the area’s lack of supply amid the ever-growing demand for rental housing in the city. “It’s anticipated that the regional population will increase by an average of 35,000 per year until 2040,” authors David and Mark Goodman wrote, as quoted by the Vancouver Sun. Outsized demand has inflated Vancouver’s average price per suite to $377,000 in 2016, up by 52 per cent compared to the year before that. The report authors dismissed the possibility of this trend ending any time soon. “The Goodman Report expects local landlords to remain insulated from any apparent decline in tenant demand or softening of rents,” the duo stated. And while 9,470 purpose-built rental units across the Lower Mainland are either in the pipeline, have already been approved, or are now under construction, the report authors warned that this would not be sufficient to address the demand. The situation mirrored that of the city’s industrial real estate sector. A fresh report from CBRE predicted that the Vancouver market will suffer accelerated price growth in the very near future, as the city’s supply of industrial space is unable to cope with current and projected levels of demand. Record prices and “crisis”-level inventory issues may well be the major storylines for this major market in 2017. Don’t expect Toronto’s record setting pace in 2016 slow down anytime soon, says the Building and Land Development Association (BILD) in its first report this year. Last year was a record setting one for the hot housing market, according to BILD, with 29,186 new high-rise units sold across the GTA. That’s more than any previous year and 30% more than 2015’s total. In total, 47,161 new homes were sold across the GTA – 62% of those were high-rise units; 38% were low-rise. New homes across the GTA reached record lows to end the year, despite prices breaking records. British Columbia’s premier has announced her government is amending its tax on foreigners buying property in Metro Vancouver. There is no bubble in the BC housing market despite some challenges in the year ahead. 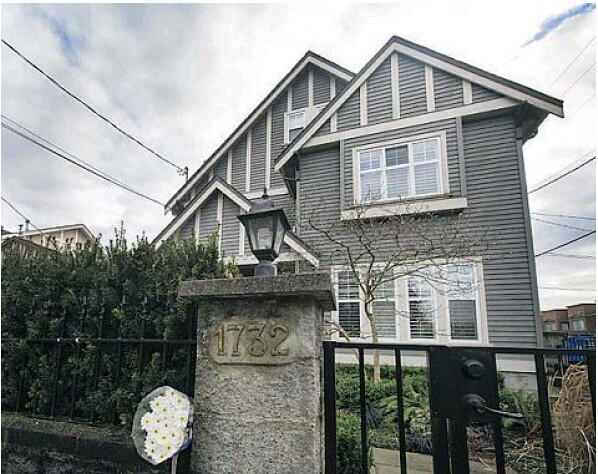 Eric Carlson, founder and CEO of Anthem Properties Group said that the Vancouver market is balanced rather than in bubble territory and predicted that there will be plenty of demand as more people move to the city in 2017. Around 1,200 attendees at an Urban Development Institute event last week heard from several real estate experts, who predicted that there will be a 10 per cent rise in Vancouver home values this year. Brian McCauley, president of Concert Properties, said that more rental units are needed in the city to satisfy demand, noting that many of Canada’s rental stock is more than 30 years old. More communities around transit hubs was the call from Andrew Grant, president of PDI Developments, who predicts 16,000 more tech jobs in the Vancouver area by 2020. I have been involved in every facet of the real estate brokerage business for 33 years. Over those 33 years I have experienced a lot of change in our profession. Each time there is change there is also a huge fear and concern over that change. Naturally this is a purely human and natural way that we all react to change. The concern of change is directly tied to the amount of control we have in determining the change and how we perceive the negative effect on our lives the change will bring. Yes everyone is reading and experiencing how the latest technological tools will bring huge financial benefit to the consumer. When we turn on a radio or TV or read an online advertisement, everything is being commoditized. Newer, cheaper, over and over again, we hear that price point is the differentiating point by the buyer. In a hard consumable commodity such as toothpaste or breakfast cereal or a television or a computer, that may well be the case. Yet even within hard commodities there are premium brands that don’t compete on price point, they compete on value and benefit. When it comes to service industries such as real estate brokerage, commoditization is much more difficult, but can be achieved if allowed to be. Our goal as REALTORS® should be to ensure consumers truly understand the benefits they receive when dealing with a full service brokerage. We are fortunate that a well articulated value proposition will be successful in earning business. But the key is to be well prepared and rehearsed before going in and sitting around the kitchen table with the potential client. This means that you have to take full responsibility to know what you and the RE/MAX organization brings to the table. Over the years, many agents have simply used the “gate keeper of the data” concept as their only service advantage. Today that no longer exists. Consumers are more empowered than ever in selling and buying their home. They have the hard data; they require interpretation of that data. They require the counselling services the REALTOR® provides. They need the all encompassing marketing plan to maximize their home’s value to allow them to make the move they want. They need a full service agent now more than ever, given the ever increasing complexity of the home transaction. Ultimately, each agent has to take the time to be fully versed on every tool or service that is provided. Each sales associate has to fully understand how to implement these services and to know about the various affinity relationships that can be provided to the consumer for their financial benefit. In the last few days I have received a number of calls and emails asking us, what are we going to do to fight the Zoocasa marketing plan and the consumer benefits they are providing? Further, this kind of competition will force us as sales associates to reduce our commission rates to compete. As I have already mentioned, there is no need to panic over this. We do provide a number of consumer direct benefits. For example, the Tranquilli-T program is such a service. Yet it is completely underutilized as a true customer benefit that no one else can provide. Another is our TD Canada Trust affiliation as a tremendous tool that can be leveraged as well; we have mortgage calculators on our web site and mobile apps. We have the Fit To Sell and Fit to Buy programs that have proven to be very popular. Our web site features “walkability scores”. Our mobile app is the only app in the entire industry that has “Live View” (being enhanced with the ability to take photos and listing information to store in the “My Listing” feature). Our web site has a space planner tool. You can easily build a virtual tour and personalized promotional items for each listing using the Design Centre. You can create a QR code for each listing that will point potential buyers to listing information. We have the only multi-lingual web site, global.remax.com for home listings to be featured on. There is so much that we as a Brand offer consumers that are part of your full service brokerage proposition. It is no longer sufficient to simply walk into a home, complement the owner on what a wonderful job they have done on decorating the home to get that business. You MUST be able to fully explain and articulate absolutely every advantage they will gain by working with you as opposed to a discount commission company or a Zoocasa representative. You have to be accountable for your service. All too often consumers have had the experience of a REALTOR® making all kinds of promises on what they will provide, only to have exactly the opposite occur in that after 2 months later the sign is falling down and they haven’t heard a thing. Advertisements are poorly written, a virtual tour hasn’t been created, a QR code hasn’t been utilized, showings are poorly managed and then when a change is required or an offer comes in, the REALTOR® ops to do it over the telephone or by email. If that is the kind of service experience home sellers receive; is it any wonder they look to alternative business models? The RE/MAX organization has developed as the premium brand in Canadian real estate. We have done this over the years by attracting the best affiliates in the industry, with smart savvy marketing, with a value proposition that is the best in the real estate brokerage profession. When Zoocasa and the Rogers empire starts up its PR campaign, understand they have an uphill battle to conquer. But they are a force to be reckoned with and one to be concerned about. We will prevail and succeed just as we have always done. But we can’t win if we become paralyzed by our fear. We have to rise above the 80 per cent of the licensed losers out there, by truly knowing our strengths and weaknesses. Further to the consumer benefits, we have one other thing no one else can boast about; the customizable, full E-learning modules on My RU. Utilizing this tool will enable you to be even better prepared and educated than any other competitor out there. The consumer is looking for a better way. And the good news is that we are that better way as we have always been. Our long history of building a positive reputation sets us apart. By being prepared, well rehearsed and articulate you will overcome any challenge that comes your way. Really, in the end, it isn’t the change we are fearful of… what we are fearful of is how are we going to control the change and be prepared for it. Set to work now to know what your true value is. Improve your presentation skills. Hone those basic salesmanship skills. Be prepared and rehearsed. Use and promote every service and tool we have. Walk into that appointment knowing all this, confident in your own ability to win that business. If you do that, your personal long term success will be assured! Clark referred to legislation in place that allows the government to exempt groups of people from the tax. She did not elaborate on when the exemption will take effect. The premier’s office said full details will be released soon, and that the premier has asked Finance Minister Mike de Jong to look at ways the government can provide relief from the tax for those who are coming to B.C. on work permits. The foreign tax has been in place since August, and was meant to cool demand in an overheated real estate market in Metro Vancouver in the face of growing concerns over affordability. The tax appears to have its intended effect on the market, with data showing a significant drop in real estate transactions involving foreign buyers. In November, there were 204 transactions involving foreigners in Metro Vancouver compared to the 1,974 transactions that took place seven weeks before the tax came into effect. Housing critic David Eby said the NDP had proposed a similar exemption seven months ago when the tax first came into effect but the B.C. Liberals voted against the motion. Eby said he believes the exemption is due to the premier hearing from employers, many in the tech and advanced education sectors, about the impact of the tax on their ability to recruit workers to live and work in the province. “There’s a fight for highly skilled employees nationally and we made it more difficult by imposing a 15-per-cent tax in the name of punishing speculators,” said Eby, adding the province should reimburse foreign buyers with work permits who have already paid the tax. Greater Vancouver Real Estate Board president Dan Morrison welcomed news of the exemption, saying foreign buyers with work permits who live and contribute to the economy shouldn’t have had to pay the additional tax in the first place. Some Vancouver families are echoing the call for an overhaul of B.C.’s child care system, following a heartfelt plea for reform from the grieving parents of a toddler who died at a daycare earlier this month. Police say the death is not considered suspicious, but the circumstances that led to it remain under investigation. For Anna Tran, a registered nurse with a 15-month-old daughter, the struggle to find safe and reliable child care hits close to home. She’s on waiting lists for three licensed daycares. But as the end of her maternity leave approached, she felt increasingly desperate for a solution. She seriously considered two unlicensed daycares, even though one was caring for more children than the law allows and the other left her feeling uneasy. She eventually decided to pay the extra money to hire a nanny. Vancouver Coastal Health requires licences for all daycare facilities caring for three or more children. It’s not clear how many children were in the care of the unlicensed facility where Macallan died. No one answered the door of the daycare on Friday afternoon. Licensed daycares are inspected at least once a year to check for compliance with provincial regulations, says VCH spokeswoman Anna Marie D’Angelo. There are no similar requirements for unlicensed arrangements. “We act on complaints … any time we are made aware of any possible licensing infraction,” D’Angelo wrote in an email. Jodie Wickens, the NDP’s new critic for early childhood development and child care, said she was heartbroken over Macallan’s death. Her party is campaigning for $10-a-day daycare across the province. “The position families are put in is to make really tough decisions about the care … because they’re in desperation,” she said. According to the Ministry of Children and Family Development, the province has created more than 4,300 new licensed child care spaces since 2014, with the goal of reaching 13,000 by 2020. Minister Stephanie Cadieux has said the $10-a-day plan isn’t affordable. “We acknowledge the challenges that many parents face when trying to balance raising a family with pursuing work and training opportunities — and we recognize that access to quality child care is an important part of finding that balance,” a ministry spokesperson wrote in an email. The B.C. government has suspended a permit that allowed a quarry to receive and store contaminated soil upstream from Shawnigan Lake. Environment Minister Mary Polak announced the move late Friday, using rarely used powers under the Environmental Management Act. “Effective immediately, I have suspended the waste discharge permit for Cobble Hill Holdings due to their failure to address both outstanding as well as past non-compliances,” Polak said in a statement. Polak said she has informed the company that it must still meet all monitoring requirements and prevent pollution regardless of the suspension. Polak said the decision was based on advice from technical experts in the ministry. She first threatened to shut down the site last fall over Cobble Hill’s failure to comply with the permit. The permit to store soil in the quarry was awarded in 2013, stayed pending an appeal and then upheld by the environmental appeal board in 2015. But in a 49-page decision released last week, B.C. Supreme Court Justice Robert Sewell found the board’s handling of expert evidence led to an unfair hearing of the case. He also concluded that the board was misled about the relationship between the quarry’s owners and Active Earth Engineering Ltd., which carried out the site’s technical assessment. The justice said there was “overwhelming evidence” that Active Earth had “an ownership interest of some sort” in the soil storage facility — information that came to light only after the appeal board rendered its decision. Westbank and Peterson are thrilled to co-present Japan Unlayered, an exhibition celebrating contemporary Japanese architecture, design, and culture, to be held Jan. 27 to Feb. 28 at the Fairmont Pacific Rim Hotel. Along with the hotel’s developers-owners Westbank and Peterson, Japan Unlayered is being curated by master Japanese architect Kengo Kuma of Kengo Kuma & Associates (KKAA), designer of the 2020 Tokyo Olympic Stadium. The Japan Unlayered exhibit will be displayed over two levels of the Fairmont Pacific Rim, with the experience starting at the hotel’s entrance. There, a traditional Japanese teahouse is given a contemporary lift using a large-scale helium balloon which supports a delicate organza roof. Also at the entrance are exhibits of two of Japan’s iconic brands, MUJI and BEAMS, both of which will be debuting their renowned products to the Vancouver marketplace at their respective pop up stores. On the second floor is a curated exhibition featuring Japanese design. In addition to a retrospective look at the architecture of Kuma, the exhibition will also extend to design from a wide range of Japanese fields and brands. Not to be missed during the exhibit are the myriad Japanese culinary experiences being offered; among them — signature Gozen lunches served at the The RawBar created under the direction of Hiromitsu Nozaki, the head chef of two-Michelinstar restaurant Waketokuyama in Tokyo; the arrival of tea master Shinya Sakurai of Sakurai Japanese Tea Experience in early February; and a nine-course kaiseki dinner presented by Chef Nozaki on Feb. 8 for a limited number of guests. In the Lobby Lounge, guests will be treated to traditional teas and contemporary tea cocktails, in addition to sake and Japanese whisky. For more information on Japan Unlayered, visit: www.japanunlayered.com. You are currently browsing the Les Twarog Vancouver Real Estate and Condo Blog blog archives for January, 2017.